A man is mugged while standing at a dimly lit ATM outside his bank. A woman is sexually assaulted by an intruder who climbed onto the balcony of her hotel room. A bar patron is attacked by another customer who previously had been ejected from the establishment. All of these are examples of injury indirectly caused by inadequate security. Owners and operators of hotels, stores, restaurants, apartment complexes, and other businesses are required to maintain a reasonable level of security for visitors, customers, and tenants. When that security fails and someone is killed or injured because of it, that business can be held liable. 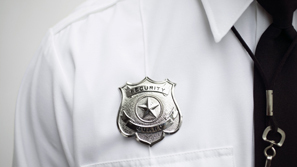 The Law Offices of Frank L. Branson has lawyers who have successfully handled inadequate security cases. We can investigate your case to determine if inadequate security played a role and, if so, if anyone should be held responsible. To learn more about our experience in inadequate security related matters, we invite you to contact the firm here.